Lots of people told me how painful the recovery period is after a tonsillectomy. I believed them. But, as with most things, you really have no idea until you experience it yourself. And I had no idea. I've been somewhat like a newborn the last 5 days- sleep, eat awkwardly, cry a bit, lie there and stare at the ceiling, sleep..... The pain has been excruciating. I am very very glad for strong painkillers. And for my Wonderful Husband. While I have been lying in my bed I have been listening. I have been listening to what my life usually sounds like. I have listened to the countless askings of the same question. I have listened to the escalation of anxiety. I have listened to the tears and tantrums. I have listened to the demand for routine and predictability. I have listened to the fear of separation and the begging for reassurance. I have listened to the sibling interactions, both tense and loving. 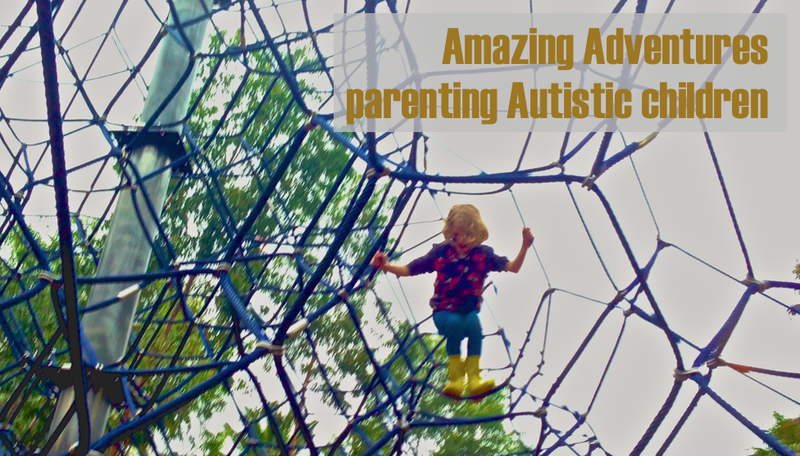 I have been listening in awe, from the perspective of an onlooker, to the complexity of looking after a little Autistic girl whose life is out of kilter. I felt removed (probably thanks to the medication!) and distant. I felt sad for her, and for her mother and father. It was a very hard week for that little girl. Every now and then she would come in and join me on the bed. She would just lie there, waiting for a reassurance that everything was OK. I tried to give it, in my whispery croak of a voice, and with the rub of my hand on her back, but she would leave knowing everything was upside down, and her mum- who is usually there for everything- was not well and couldn't help. And she would go back and demand of her dad. And my Wonderful, Amazing Husband fixed everything for her. He, who usually works full time on a rotating shift roster, caring for sick people, and who was supposed to be having some much needed annual leave, stepped in and fixed everything for her. And he did the grocery shopping. And he cleaned. And he washed clothes. And he managed the giving of permission for computer turns. And he co-ordinated sleep overs for the other kids. Overnight, he became a full time stay at home mum of 5, 2 with ASD, and he did it while looking after me too. He did it well. He was patient. He was calm. He removed fingers from inside nerf gun bullet holes, and provided the right snacks at the right time. He took everything in his stride. He allowed me all the time I needed to recuperate with no pressure to be doing anything else. And he smiled generously (and with just a hint of relief) when I proudly pointed out that I had stayed up for a full 3 hours today and picked up some dirty clothes off the floor. I can't tell you how thankful I am for my Wonderful Amazing Brilliant Husband. I know I could walk my journey without him if I had too, but my goodness, I do like walking it with him! I love this post- I love the good that comes out of the bad- stuff to be thankful for in the midst of the hard. I'm so glad you have that wonderful man in your life.